Q: You are an Aerospace Engineer and Planetary Scientist, what does your job description entail? What inspired you to become an astronaut? I’ve always been fascinated by the stars above. Ever since I can remember, I’ve wondered what’s out there and what our place is in the cosmos. As a kid, I was generally curious about things around me. I got a telescope as a gift from my uncle when I was 8, and I loved to peer through it at the Moon and the stars. As an Aerospace Engineer, my job involves designing new space missions and developing new tools and methodologies to help improve the complex space mission design process. As a Planetary Scientist, I also spend time working on understanding interesting phenomena in our Solar System. In particular, my area of expertise is investigating how planetary ring systems form and evolve. Studying planetary rings helps us to understand basic processes that govern how the planets, moons, and Solar System as a whole formed and evolved. As a kid, I dreamed of going into space and exploring new worlds with my own eyes. I’ve always had this ambition and so when I got the chance to apply for a position as Analog Astronaut at the Austrian Space Forum, I seized the opportunity. Although as an Analog Astronaut, I don’t get to go into space, it’s pretty much as close as you can get to that experience back here on Earth. Kartik is an Aerospace Engineer & Planetary Scientist, with BSc and MSc degrees from Delft University of Technology in the Netherlands. He is currently finalizing his PhD, investigating the dynamics of Uranus’ outer ring system. 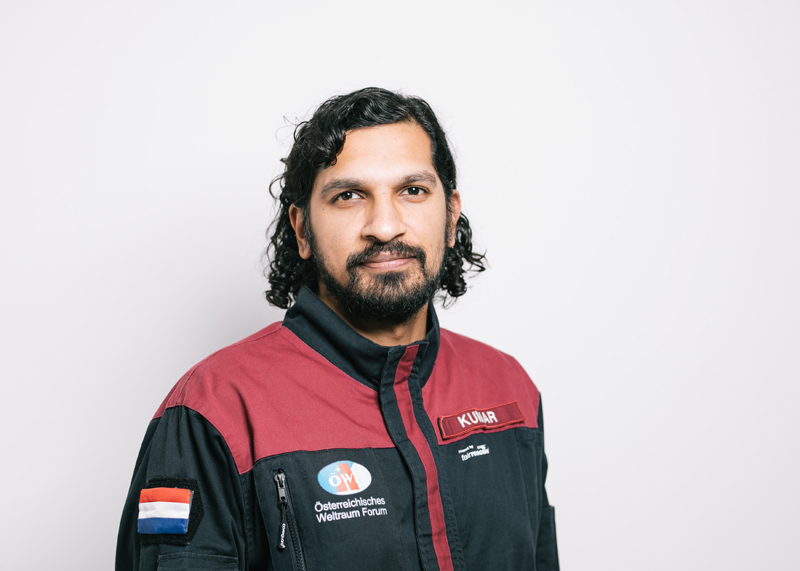 Kartik is also co-founder of satsearch, a startup supported by the European Space Agency, building the first global marketplace for space. 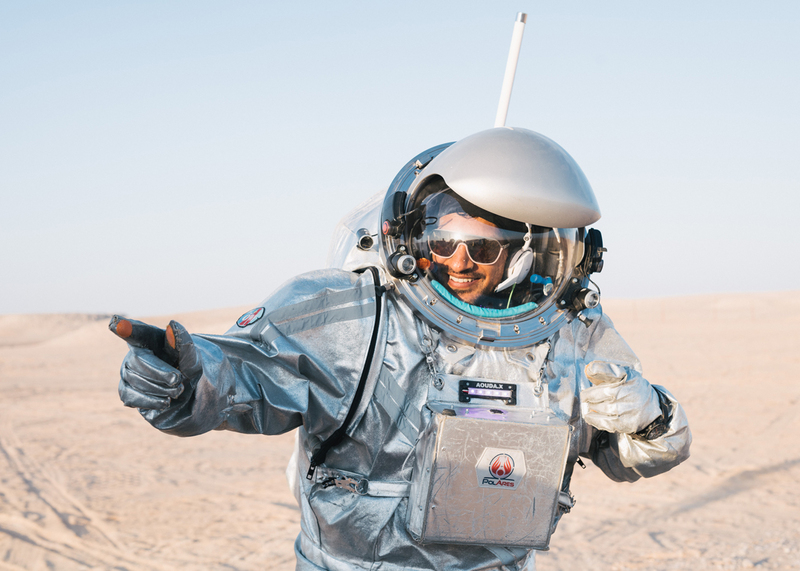 He is an Analog Astronaut at the Austrian Space Forum and has been involved in two missions to date, AMADEE-15 on Kaunertal glacier in Austria in 2015, and AMADEE-18 in the Dhofar desert in Oman in 2018. Kartik is passionate about helping break down the barriers to space science and exploration. Q: This chapter focuses on the ethical value of courage, what does courage mean to you? Courage is an interesting notion. I think that there’s lots of different aspects to it. Fundamentally, courage to me is about standing up for what you believe in, regardless of what other people say or do. At the same time, courage is about understanding and listening to others, to ensure that you’re firmly grounded in your beliefs. Courage is also about pushing yourself, beyond your comfort zone, encountering new things and incorporating them into your understanding of the world. Courage is about daring to try new things, knowing that they could fail. Courage takes on many dimensions, and I think we’ve all got it in some form or another. Q: What are analog missions and how are these supported by technologies such as Robotics and AI? In your opinion are humans still better at adapting to unpredictable environments than robots? Analog simulation space missions are space missions that are conducted here on Earth. 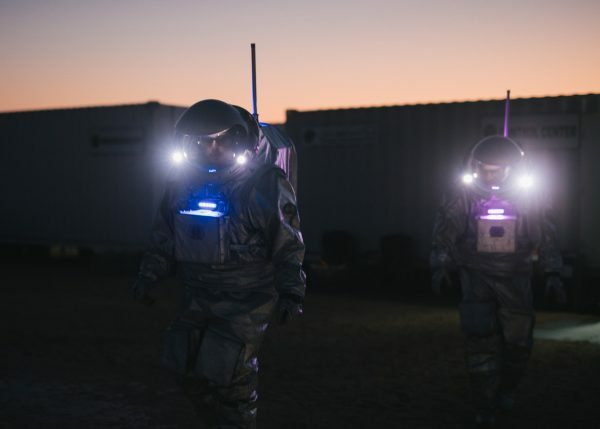 Since space is a pretty dangerous, hostile place for humans, we conduct analog missions here on Earth to ensure we understand all of the possible ways things could go wrong, and to develop a strategy towards achieving success that includes technical and human factors. In other words, analog missions are a way for us to practice before embarking on the “real thing”: practice truly makes perfect! To ensure that these analog missions are comparable to real missions, they are usually conducted in environments that help simulate conditions in space. There are many places on Earth that can be used as suitable analogs for conditions and environments that humans encounter in space. Having said that, nothing is exactly the same as space; hence there’s always a degree to which you retain uncertainty about how a real mission will turn out to be. We’ve gotten a lot better at understanding and predicting how real missions unfold, enabling us to achieve a high degree of success. Robotics and AI are both very important to spaceflight. Robots already conduct a lot of tasks in space (like satellites) and on planetary surfaces (like Mars rovers), helping us to make important strides forward in our understanding of the Solar System and our ability to explore it. In my view, the “robots vs. humans” debate in space is a misnomer. 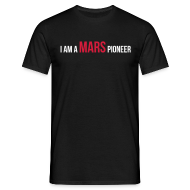 Both are needed to achieve the lofty goals that we’ve set out, including Mars colonization, on-orbit manufacturing, and life detection. Through advanced software and hardware, robots have gotten pretty good at exploring space. Nevertheless, humans still have an edge when it comes to adaptability. As technology progresses, the gap is narrowing. I don’t believe that we’ll soon seen a scenario in which robots can exactly replicate humans in space; hence I believe that it’s important that we treat both as important ingredients for success in space science and exploration. Q: In February 2018, you were part of an analog mission in the Dhofar desert in southern Oman. This region was used to simulate the terrain and environment of Mars and your team was testing technology for future Mars expeditions. Could you share some insights from your experience? Could you tell students a little bit about the experience of wearing a spacesuit? The AMADEE-18 mission was conducted during the month of February, 2018 in the Dhofar desert in Oman. There were more than 100 people from over 20 countries involved in the mission. 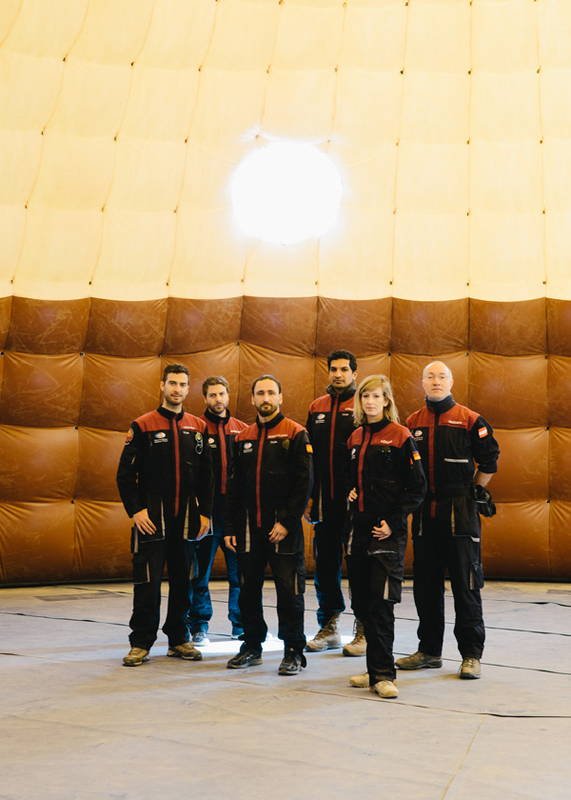 I was part of the 15-person field crew that spent the whole month on “Mars”. The rest of the team was based at the Mission Support Center in Innsbruck, Austria. The Mission Support Center plays a similar role to Mission Control in Houston, helping to plan and guide complex operations and ensuring safety of everyone in the team. The mission was really “out of this world” (pun intended). 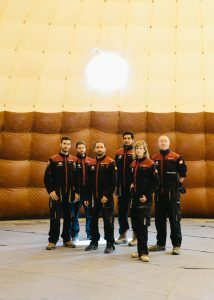 Not only was it fascinating to understand how complex such a mission actually is and face the challenge by working closely with others who all share the same final goal, it was also amazing to be situated in the middle of a desert that, to all intents and purposes, was Mars for us. The mission helped us understand the kinds of experiments humans could conduct, alongside robots, on the Martian surface. It also helped us understand the technology and communication bottlenecks that have to be tackled to ensure a smooth, safe, and successful human mission to the Red Planet. 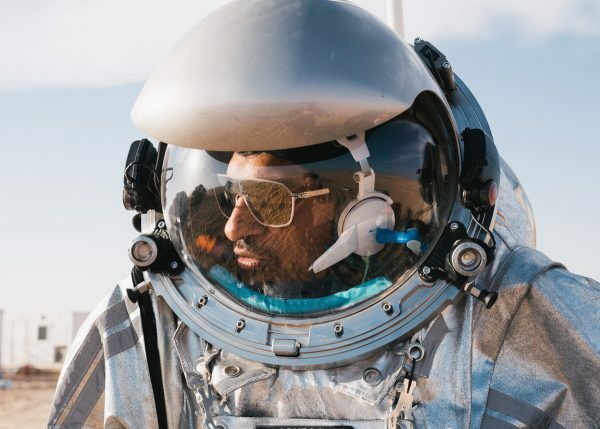 Donning the Aouda spacesuit simulators is really something else. When you’re inside the suit, out in the field with your fellow Analog Astronaut, conducting experiments, the feeling is that you’re not really on Earth anymore. 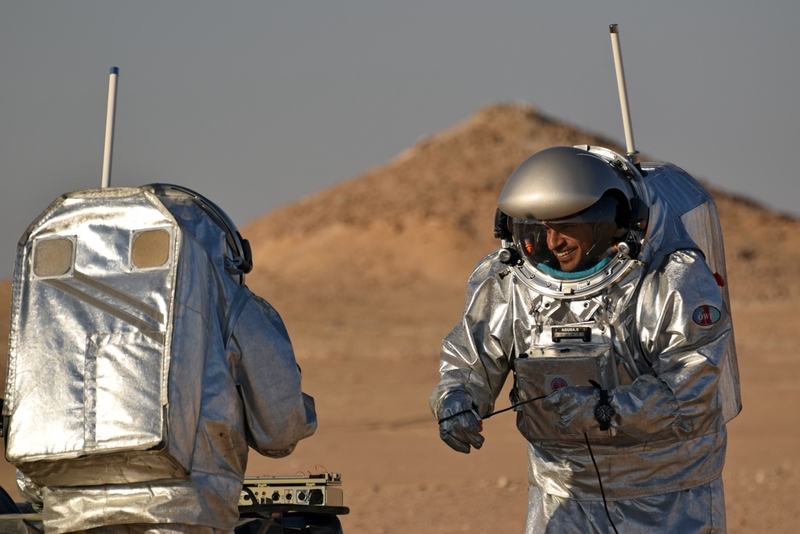 The Aouda spacesuits weigh approximately 50 kg, so there’s a huge physical aspect to conducting mission operations out in the field. 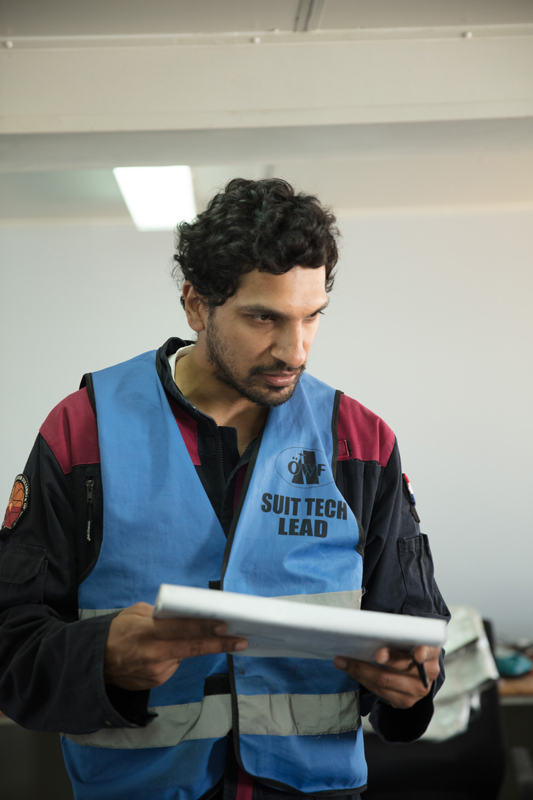 Additionally, you have to contend with lots of changing variables that require you to think on your feet and communicate clearly with the team back at base and in the Mission Support Center. In short, I’m honoured to have the opportunity to be the eyes and ears of the whole team out in the field when I’m in the spacesuit. The Analog Astronauts are only one part of a highly capable, motivated, and passionate team. Everyone in the team plays a vital role towards achieving mission success. Q: What are the main qualities you possess that allow you to be calm and resilient in high tension situations? Have you been trained to use mindfulness techniques? I think that I’m generally open and agile in my thinking, which allows me to be responsive to things that change around me unexpectedly. I think it’s something that you can work on, rather than a skill that you’re born with. During our Analog Astronaut training, we did focus on ways to remain calm in stressful situations, although we didn’t specifically call it “mindfulness”. In addition to being mindful, for space missions it’s very important to be well prepared. One of the biggest reasons why astronauts remain calm in space, is because they’ve spent years training and practicing, meaning that they have a lot of “muscle memory”. Again, it’s very much a case of practice makes perfect! Q: In your line of work you need to be able to anticipate and be prepared for the known and unknown. You also need to be able to be proficient in different fields so you can be self-sufficient. What was the most difficult aspect of your training? The most difficult aspect of the training and of mission operations is the fact you have a lot of different things happening at the same time. That means that you have to be able to multi-task well, and you need to be able to assess dangers and risks, so that you steer clear of them. Having a strong basis in different domains of expertise helps you to see the big picture and react accordingly to different situations. Q: In the 1960’s, space exploration was a race between the USA the USSR, in the 21st century there are many collaborations between nations to explore the frontiers of science and space. What do you think changed to allow these successful collaborations to take place? Fortunately, we live in more peaceful times now (the question is always whether this peace will last). As a result, the drivers to get into space and explore have changed. Co-operation enables us to go further and dig deeper. At the same time, healthy competition is an important ingredient to drive people and organizations to break new ground and push the boundaries. Ultimately, space is humanity’s shared heritage and it’s important to maintain good relationships between different countries, to ensure that we avoid the doom scenario: militarization & weaponization of space. Q: Could you give us some examples of how Biomimicry has been used in AI and Robotics to do with space exploration? As I’m not a biologist, I’m not an expert in this area. Nevertheless, I think there are a number of interesting examples of how biomimicry is being used in space exploration. One of the best examples that I’m familiar with, because a number of researchers at my alma mater have pioneered the technology, is the use of flapping-wing Micro Air Vehicles (MAVs). These are small, flying robots that mimic the way birds and insects fly, enabling them to explore complex environments and terrains. These MAVs are being used for terrestrial purposes but are also being considered for flight in the Martian atmosphere. There are lots of other examples of how evolution and biology are being used in space, to develop habitats, self-organizing structures, self-healing materials, solar power systems and more. Here’s a good summary of a number of examples: www.universetoday.com/122974/bio-mimicry-and-space-exploration. Q: Climate change and water shortages are becoming increasingly serious issues. As an astronaut do you feel a sense of pressure to find another habitable planet to replace earth? What are you thoughts on human beings having to leave the earth? I think that a lot of people have misunderstood why we want to explore and colonize other heavenly bodies like Mars. There’s no doubting the fact that Earth is a pretty cosy place for humanity. Mars, on the other hand, is quite a harsh, hostile destination for humans. So the idea that we will en masse abandon the Earth to colonize Mars doesn’t make a lot of sense to me. Rather, the reason for colonizing other planets is to ensure the survival of our species. There have been a number of extinction events for life on Earth, like giant asteroid impacts, and scientists are pretty aware of the consequences. Although these events don’t happen frequently, when they do, they have devastating consequences, like the impact that led to the demise of the dinosaurs. Hence, becoming a multi-planetary species is about securing our survival. As a counterpart to this, it’s also about understanding other worlds, and as a result understanding our own Earth better, precisely because we want to make sure that we understand the results of our actions and can manage them so that we can live here for a long time to come. So, no, I don’t think that we should think of colonizing Mars or any other planet as a matter of abandoning Earth, but rather as an important step towards securing our future. Q: You are actively involved in education and encouraging and inspiring young people, what skills do you think young people will need for their future? I think that it’s important for young people to have a good, solid basis in all areas of STEAM. The world is changing fast, and it’s important to be able to speak the language of scientists, engineers, lawyers, doctors, artists, and others, to be able to effectively shape our future. I also think that young people should take the time to explore, to find out what really drives them, and to understand how they can positively impact their communities. Enter the world with an open mind, a keen eye, and a kind heart: that’s my advice for the next generation. Q: You have an interest in the Maker Movement how does this inspire you? As an engineer, building things is part of what drives me. The process of turning an idea into reality is fascinating to me, and it’s at the heart of what makes makers tick. The maker movement has opened up the door to many people to explore new ideas. Not every idea is going to work as intended, but that’s the beauty of the maker movement. Having the tools and skills at your disposal to try lots of new things, increases the chances of coming up with something truly impactful. I’ve seen people develop some amazing ideas and concepts, with not much more than imagination, passion, and the ability to build things using a limited toolset and resources. Hackers and makers are my tribe. Q: What advice would you give to students who are interested in pursuing a career in your field what skills should they be cultivating. Is this an area where women have equal opportunities? Fortunately, there is greater emphasis being placed on levelling the playing field, enabling women and minorities to prosper. There’s still a lot of work to do, to remove the antiquated barriers that exist, but I think it’s progressing in the right direction. My main advice would be to keep trying new things, to build strong friendships, to always look to learn, and to never forget to have fun along the way.